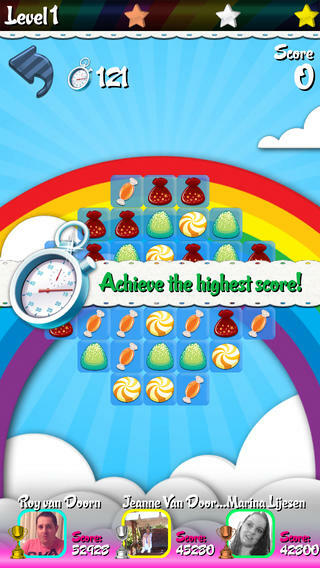 Developed by Roy van Doorn, Sugar Crush HD is an arcade-style match game that draws a lot of inspiration from the popular iPhone game Candy Crush Saga. Sugar Crush HD features much of the same bright and colourful visuals and cheerful music that made Candy Crush such a hit. The gameplay will be very familiar to anyone who has played Candy Crush Saga or any of the match-3 type of games. 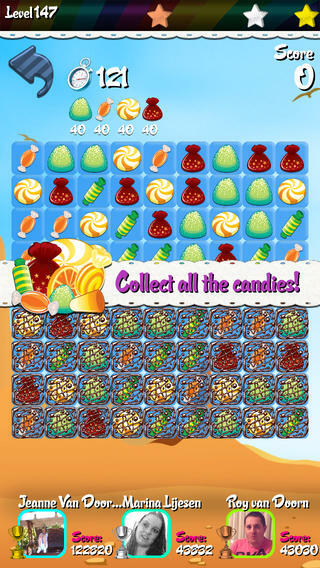 Each level gives you a unique grid loaded with different types of candies. Move one candy at a time, up/down or left/right to match it with other candies of the same type. 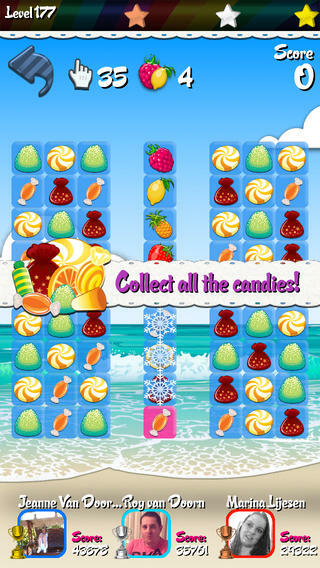 Match three (or more) in any horizontal or vertical line and those candies are ‘blow up’ and add points to your score. Special candies are generated when you match four, five or six of the same candy type and allow you to blow up whole rows and columns or certain types of candies, helping you to complete the round and achieve a high score. There are five Episodes in total, each with 162 stars to collect. The game is actually very challenging and I struggled to score even one star on many of the levels. 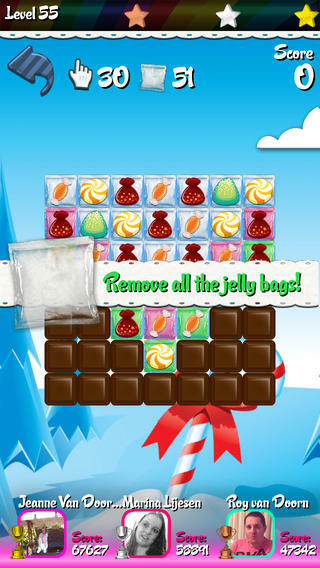 Sugar Crush HD is a free game but does have non-obtrusive ads for other apps that appear on the screen in-between levels. A fun title for all ages, download Sugar Crush HD on the App Store today. Sugar Crush HD requires iOS 5.1 or later. Compatible with iPhone, iPad, and iPod touch. This app is optimized for iPhone 5. Follow Tapscape for all the latest iPhone game reviews.